2017 Vauxhall Insignia Sports Tourer – Prettier than Grand Sport? Vauxhall or Opel has turned the tide when visual excitement about its models is in question. From cold and clinical vehicles in the first decade of new millennium, we came to quite funky Adam, handsome Insignia and trendy Mokka X. Insignia was quite a looker in its time, first at the expense of build quality, but luckily redesign sorted that out, and new generation just has to follow through. And it will as we see. 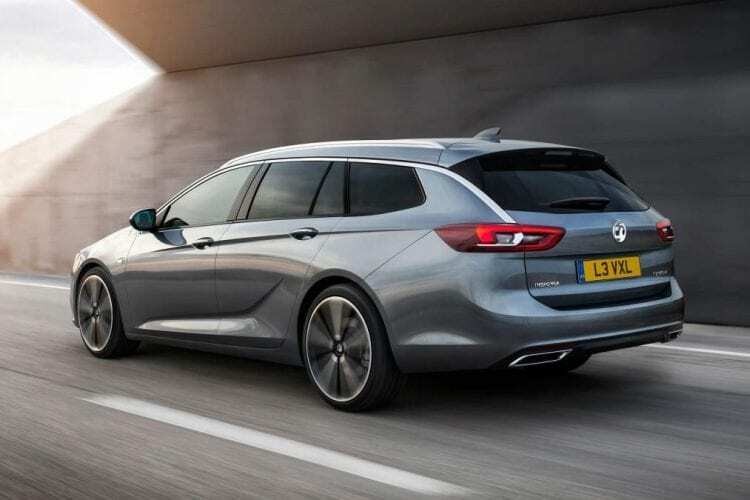 The name received an extension, in the case of sedan add Grand Sport to Insignia part, while we are here to focus on 2017 Vauxhall Insignia Sports Tourer or estate version. New Insignia has made a huge leap when visual elegance is in question. It muted some of the design peculiarities of the older model, bringing sophistication in the first plan. The overall design of front fascia is less complex and more conservative but certainly more gracious. The rear of this wagon is a different story, it immediately shows improved energetic part of it already from the carved sides, continuing with the falling chrome line, sharp taillights and ending with double rectangular exhaust tips. We would even dare to say that Sports Tourer, is not just way prettier than the predecessor, but even more handsome than its sedan counterpart Grand Sport. The new model is 73 mm longer and wheelbase is increased by 92 mm, which means a newly found abundance of interior space. Cargo space is same with 520 liters, while total capacity of 1,638 liters when the seats are folded is 110 liters up. Same design story from the exterior is applied here. Less fussiness, fewer buttons, more style. We mentioned that redesign of the previous generation brought fit and finish to the desired level and it seems that new car additionally elaborated on that adding better materials to the mixture. The new model is 200 kg lighter and that trigger improvement on many fronts. Engine lineup from outgoing model is expected to carry on, and even if there is no power increase, a lighter body will improve performance as well as the fuel efficiency. Since new Astra brought LED matrix lighting to the brand, we expect for the new Insignia to feature it. Also, it will be the first Vauxhall model to carry an active bonnet, improving the safety of the pedestrians upon collision with them. For better ride quality, both in comfort and dynamic sense, the new model will come with adaptive dampers, while also steering, throttle response and speed of gear changes can be varied for maximum adaptation to you wishes. 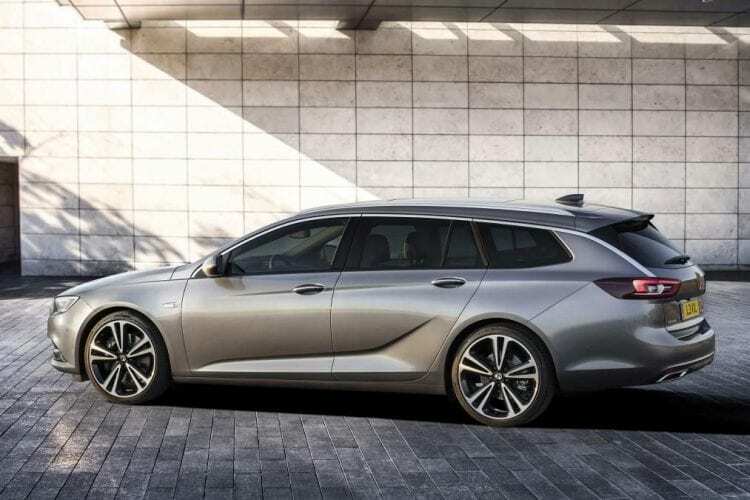 Optional AWD system uses two electronic clutches instead of the rear differential and for the first time Insignia will be capable of torque vectoring which should enhance cornering abilities significantly. Tech part will be well covered with Android Auto, Apple CarPlay, and wireless phone charging, while for the first time you can book a hotel with it through OnStar. 2017 Vauxhall Insignia Sports Tourer is really around the corner, as it is set to debut at Geneva Motor Show in March. The price tag should stick around old one at around £20,000 ($25,000), while actual deliveries of the model will start during summer. If you are not taken over by crossover craziness, this elegant and well-built wagon could push the right buttons as it is very hard to find any obvious flaw with it.